Kaponga is a company "based in Southern California, our young company caters to active lifestyle enthusiasts and to people all over the world who share an appreciation for natural, effective and affordable personal care products. Our fragrances are exclusively custom crafted in Grasse, France. Always popular with busy celebrities on the go, our perfumes are travel-friendly, they won't break or leak in your handbag and a small application lasts all day long." Ever since I was sent the mango solid perfume last year from Kaponga, I have been obsessed with their products. When I put that solid perfume on, I cannot stop smelling it because it smells SO good. One of the best perfumes I have ever had! This time, I was sent another mango solid perfume (yes!! ), the ylang ylang solid perfume, and the spa line mandarin lotion. They all smell great and the lotion kept my skin moist. Another thing that I love about this company is the products are affordable. The lotions range from $5.95-7.95 and the cream perfumes are $9.95 which is not bad at all. I will continue to love and use this brand! Thanks for sending me more of your great products! The giveaway will be for any one item from Kaponga to one lucky winner. The giveaway is open until Midnight on Tuesday May 31th. Winner will be chosen on Wednesday June 1st using Random.org. The winner will have 48 hours to respond or a new winner will be chosen. ***US and Canadian readers only! Visit the Kaponga website and let me know what item you would choose. I think I would choose the same as you - the Mango Cream Perfume. OMG! I would love the Ylang Ylang! It's one of my favorite scents! Thanks for the visit at Jessica, The Mom! Returning the follow! I would choose the Spa Line Sandalwood Body Lotion 8oz Tube for my husband. He loves Sandalwood. 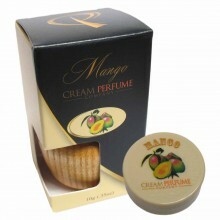 The mango cream perfume sounds amazing! I would choose the Sandalwood Cream Perfume! I am following with GFC! If I won I would chose Spa Line Sandalwood Body Lotion 8oz Tube! I've always liked the smell of sandalwood! I'd choose the Mango cream perfume--it just sounds enticing. I'd like to try the Peach Cream Perfume. Email in profile. i would choose Spa Line Mandarin Body Lotion 8oz tube. I'd get the peach cream perfume. I would like the Spa Line Mandarin Body Lotion 8oz Tube. I would select the Natural Body Lotion With Organic Coconut 6oz Tube. yum! the mimosa cream looks very tempting! I would love to try the Mango Cream Perfume, it sounds like a very fun and unique product! I adore cream perfumes ! I would choose the Jasmine ! I would choose the Sandalwood Cream Perfume. I'd choose the Jasmin Cream perfume! Thanks! I would love the Organic Raspberry Cream Perfume. I like the Sandalwood Cream Perfume. I'd try the natural with coconut. Spa Line Mandarin Body Lotion 8oz Tube. I entered the Yogi Tea Giveaway.